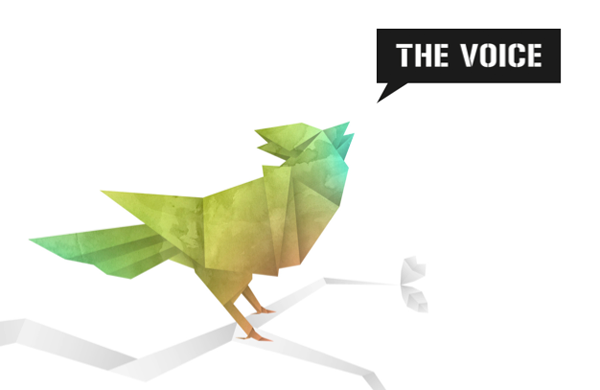 Audiodraft Contest | The Voice radio/TV-station is looking for a ne.. The Voice is a music based radio/TV-station that has an emphasis on Pop-Rock music. We've renewed our station graphics and now we want to renew our sound. The Voice is a music based radio/TV-station that has an emphasis on Pop-Rock music (Nickelback, Pink, Robbie Williams, Madonna). The music is a mix of 80’s 90’s and 2000+. Our focus is on 30+ females. We’ve renewed our station graphics (see the reference below) and now we want to renew our sound. We’re after: Medium tempo theme-song 1min, matching jingle 5-10s with sonic 2-5s. (The Voice). The song should be melodic and happy. We are looking for a song with organic instruments and feel - we are not after dance/house etc. TOP5 finalists will be announced in the end of August. We will ask our listeners for their opinion about the finalists and they can vote for their favorites. We will then select the winner by the end of September. We will need a slow and uptempo version from the winning song. We would like to get these versions from the TOP5 finalists before we make the decision about the winner. Optionally the finalists can also provide a short (~250 chars) bio about themselves and a link to their website if they want them to be part of the promotion. After the winner has been selected we will need the winning entry delivered as production files (meaning all tracks as separate wav files).